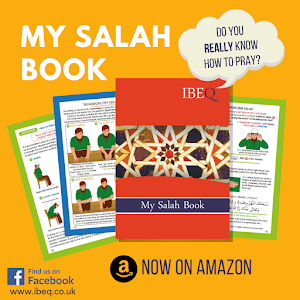 Organising your Qur'an reading time needn't be time consuming, nor is it a chore you can flip through. With a little motivation and personalised tools, you'll have your own Qur'an planner and guide in no time. Like I do. In Islamic tradition a Muslim needs to 'gather themselves', to phase out of the material and into a realm of religious aura, to be mentally ready to read Qur'an, the Word of God. 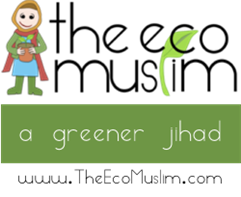 The physical preparations go without saying: wudhu, a studious environment, smart clothing and a distraction-free Qur'an-zone (your garden). But, now that the Glorious Qur'an is in your hands, what do you do with it? Where do you start and how do you stop? Buy yourself a couple of project books. Get one A4 (30cm) for lengthier tafsir notes and one A5 (15cm) for memorable quotes. Mine above are bound by plastic and separated by coloured tabs, which does make a difference in how I learn. I learn by colour (mostly) - green is for Arabic, blue for law and red for the shorter important quotes or "mind-mapping" diagrams. 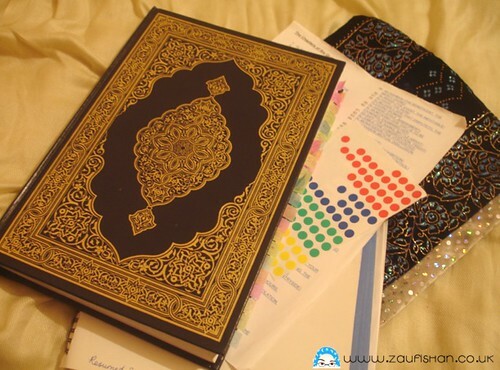 By creating a purpose-built Qur'an guide it's easier to study each chapter (surah) . Like any university assignment, a project book allows space for messy research, to link themes and writing focused questions to be answered later by Allah. In due time, your writing becomes more compact, jotting down only key verses or Arabic linguistics that friends can discuss at the next halaqah (studious gathering). I have a method of SMT: Studying, Memorising, Teaching. I will read a Qur'an chapter as many times as possible to understand it word for word in Arabic and English. I then make detailed notes (also color-co-ordinated) following The Tafsir scholars: Ibn Kathir, Ibn Abbas and classical Arabic teachers. And once I'm equipped and have permission (ijazah) I teach little people the basics of that chapter. A triple session through each verse therefore drives home the message and meaning of Allah's words. I organised my Qur'an too. I have no remorse making notes in an English Qur'an translation but I am fairly kind to my Hajj copy of the Qur'an (thanking you king Abdullah). Making notes in pencil along the margin reminds me of a correlating ayat (verse) from another page and I will often mark the differences in script (Hafs, Warsh, Uthmani etc). Usually, underlining a word is enough to recall a favourite Qari's thundering or melodic recitation. Taking the Qur'an organisation a step further: I split the holy Book by volume ('juz) using clear plastic sticky notes (they don't tear the page or bend). Don't bother with bookmarks unless they're thin and made of fabric. Again, for practical organisation sticky tabs are more efficient than finding the index and searching through page headings, or folding over a corner only to forget it and spoil the print quality. Chapter 89, 30th volume? Boom, there it is. I also marked all 14 places that require a Muslim to prostrate on recitation (from the top, not shown), and highlighted prophetic prayers which I can show a newbie Muslim. Sorted. Oh, one more thing. In my original Qur'an tafsir notebook I collected all appropriate research before commencing dedicated study. (Dedicated-ish). This means that even if your notes aren't in order, they're not scattered. Print out the list of Qur'an chapters (suwar) to tick off as you analyse them each. Use the blank pages at the end of your notebook to mark out or print a blank table that you can fill in with newly learnt Arabic words. In my early stages of learning I noted the repeated words from a Qur'an chapter so as to be familiar with their usage (aladhi, sudhoor, ta`maloon/ya`maloon). Starry stickers are for grown ups too so go ahead and reward yourself with a coloured dot after meeting each Qur'anic goal. Practicing is your greatest tool therefore whatever your aim - memorisation, high quality tajweed or scholarly interpretation, do not give up. Be consistent, begin with the earliest tafsir, read the Qur'an every single day and get your studies checked by a qualified teacher. You have inspired me to study my Book, and also my Prophet more closely. Jaz.